Offering you a complete choice of products which include paint tank, spray gun and texture sprayers. Our company is considered a renowned name in the business that trades and supplies Paint Tank that comes in different specifications. 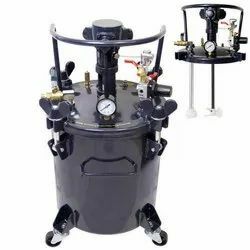 Owing to the strong construction, longer service life, huge capacity and leak proof nature, the proposed series is vastly demanded in industrial applications. Paint tanks are checked for their quality and flawlessness, before the final transmission. Ours is a trustworthy name in the business that trades and supplies Spray Gun in multiple specifications. Massively used in industrial applications, these spray guns are suitable for different paint and finish application requirements. 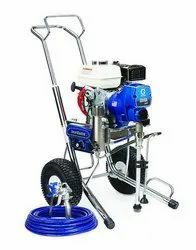 Easy to operate, low maintenance and sturdily constructed, the proposed series of spray guns is vastly popular among our prestigious customers. We are one of the renowned traders and suppliers of a massive compilation of Texture Sprayers that can be availed at reasonable rates. Proposed series of sprayers is suitable for high production professional painting and texture uses. 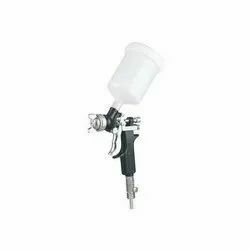 Lightweight and easy to operate, these texture sprayers are ideal for walls and ceilings. We hand over the series in tamper proof packaging, to avoid damages. Looking for Texture Gun Accessories ?